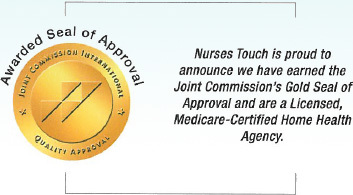 Nurses Touch Home Health Provider, Inc.
is dedicated to providing quality patient and family centered care right at the convenience of your home. Let us support you and your family in your path to a healthy recovery. We are available to answer your call 24 hours a day, 7 days a week.